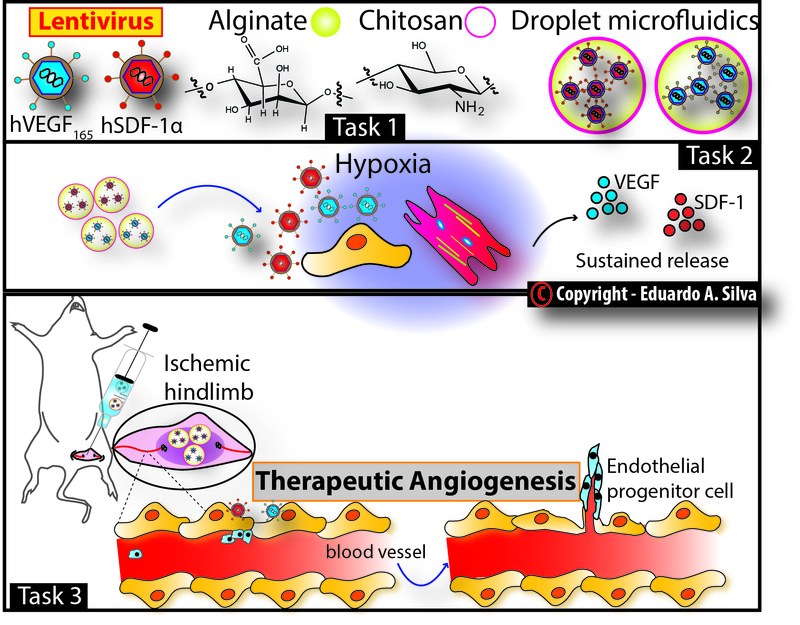 In summary, our projects aim to exploit the natural mechanisms of cellular homing for therapeutic angiogenesis by designing novel hydrogel-based injectable systems that drive the homing of resident vascular progenitors cells. Specifically, our current research projects target vascularization as a critical enabling technology to engineer or regenerate virtually any tissue or organ system. Background/Motivation/Goals: Peripheral Artery Disease (PAD) affects more than 16% of the total American population aged over 55 years. Critical Limb Ischemia (CLI) is a common manifestation of PAD. Staggeringly, 25% of CLI patients will likely die within a year of the initial treatment. 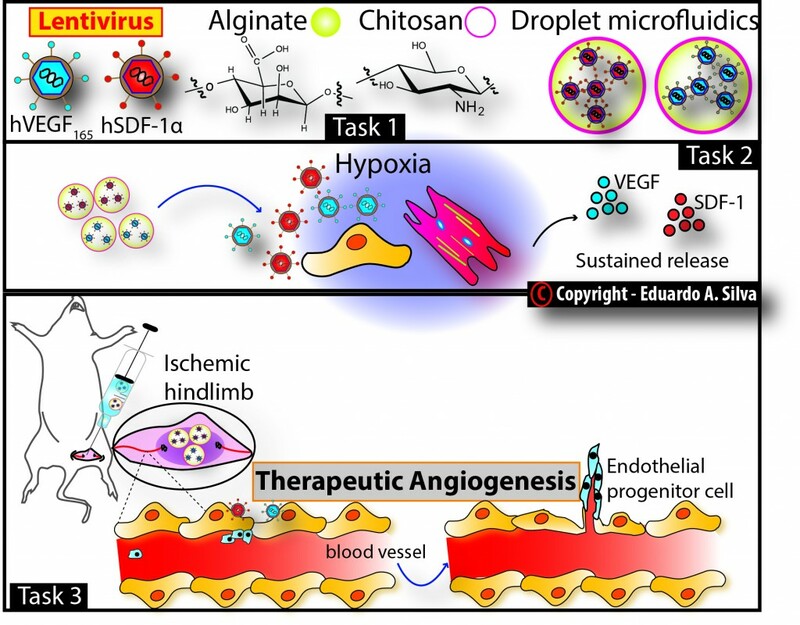 Endothelial Progenitor Cells (EPCs) are potent vascular rejuvenators and provide a powerful hope to treat a wide variety of vascular diseases, including CLI. More than 80 clinical trials using EPCs have been initiated over the past ten years. 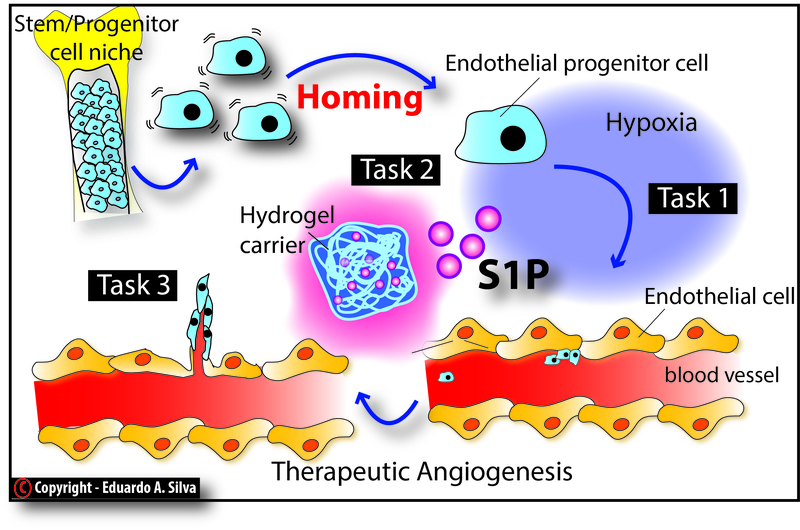 However, there are several challenges hampering the clinical translational potential of EPC-based therapies, including the appropriate cell type, the optimal cell dose, the route of cell administration, the efficiency of cell engraftment at the target tissue, and the frequency of treatment. 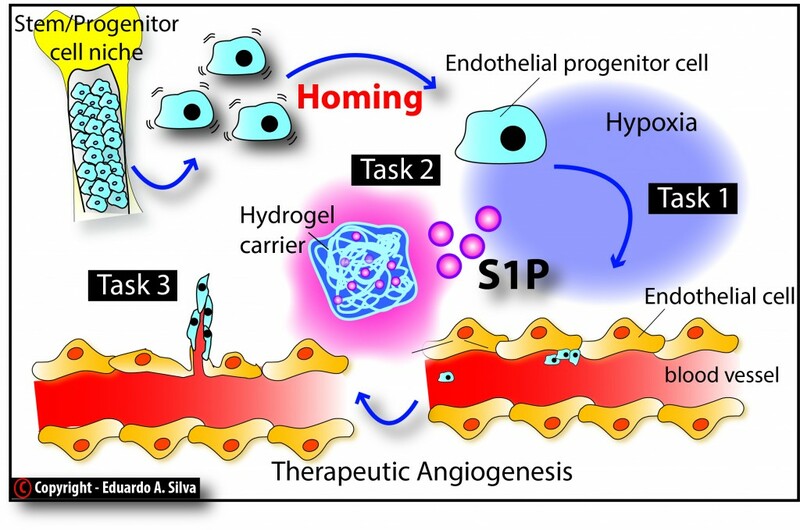 This research effort aims to exploit the natural mechanisms of EPC homing for therapeutic angiogenesis by designing a novel alginate-based injectable system that drives the homing of resident vascular progenitors. This project aims to provide greater understanding of how adult stem cell homing may be used for treating CLI. The rationale underlying this project is that the vector will be controllably released from the alginate microbeads (e.g. via polymer degradation), with the dose and rate of delivery dependent on 1) the amount of vector loaded, (2) the process used for the vector incorporation, and (3) the physical and chemical characteristics of the alginate used to formulate the microbeads.